The past few weeks I have had a great time watching the world's best athletes compete at the 2014 Winter Olympics in Sochi, Russia. As I've watched, many of the competitors have impressed me and inspired me, and I wanted to spotlight four of my favorites and share what I've learned from them. 1. 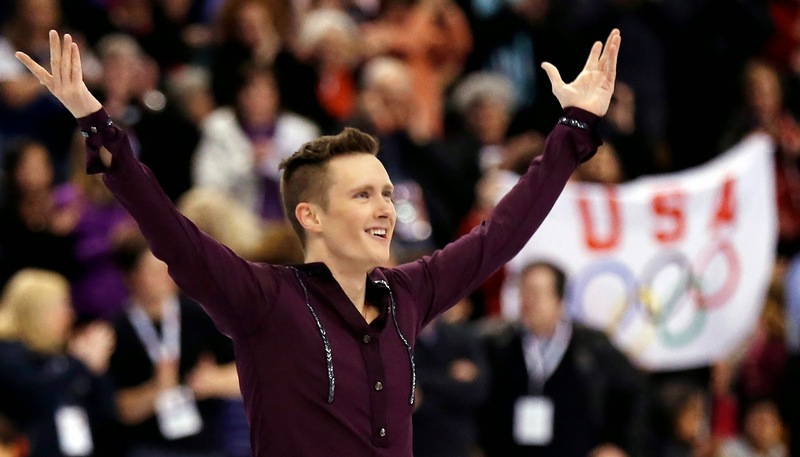 Jeremy Abbott, American Figure Skater- If any of you watched the Men's Short Program last week, you'll know it was basically a hot cold mess. It seemed that everyone was falling*, and as Jeremy Abbott's turn approached, I got a little bit anxious. I had seen him skate before and I knew that nerves were a big issue with him, and I imagined that the pressure inside that rink was at a boiling point. Well, he skated, and he crashed. And not a little fall- it was a full-blown sliding collision with the wall. He was down for the count, and he was clearly in some pain. But then, something strange happened. The crowd started cheering- well, roaring really- and Jeremy's head came up. Then, he tried to stand. He did, and, with the crowd roaring ever louder, he began to skate. Well, 'skate', is putting it mildly. He attacked the rest of his program with such vengeance that it was hard to believe that this skater had been down on the ice just moments before. He finished off the program and the crowd was on their feet. Did he get a medal? No, he finished twelfth- but he taught us all that sometimes what you do after you fall matters a lot more than the fall, and you never know what you might accomplish when you pick yourself up and just keep on going. *I was convinced the ring was tilted. That's my excuse in bowling whenever I get gutter balls. "The lane is TILTED!" 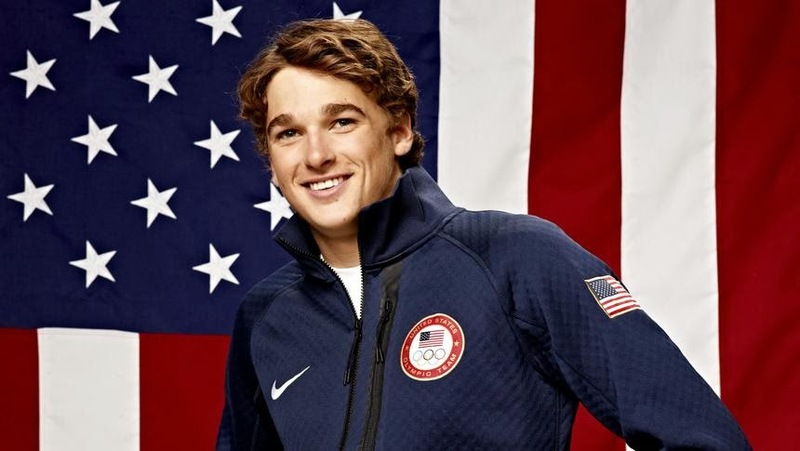 Goepper grew up in Indiana and skied at a resort he called a "glorified bunny hill." During the summers he built a training setup in his backyard, using lumber, PVC pipe, and astroturf. His parents joke that the real grass still hasn't grown back. He even learned to use video editing software so that he could make his own videos of himself skiing and send them to ski companies to try to get sponsorship. Goepper was part of the American clean sweep of the Slope Style competition, earning a bronze medal. It can be easy sometimes to make excuses- I don't have the resources, I don't have the help, I don't have the money, but Goepper showed that if you want it, you can do it- you just have to work hard. 3. 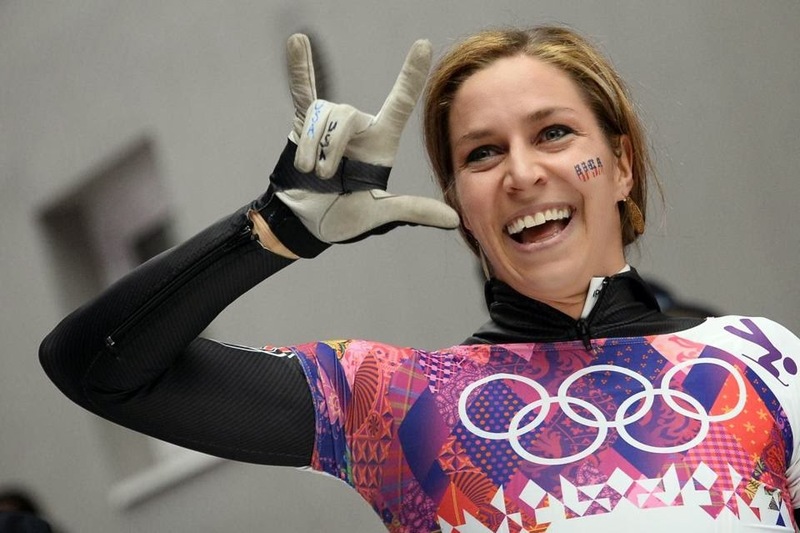 Noelle Pikus-Pace, American Skeleton- If you're a Latter-day Saint (Mormon) and you watched Pikus-Pace in the Skeleton competition, you probably know that she is also LDS. She lost out on a medal at the Vancouver Olympics and so she retired to focus on her family. She already had one child and had her second after Vancouver. Then she suffered a miscarriage, and said she needed to focus on something to pull her through, so she went back to training and competing- but this time she took her family with her on the road. During her time in the spotlight this year, it was rare to see her on the screen without a huge grin on her face. She kept talking about how grateful she was that her family was there, and how much fun she was having. There was a big show over this "rivalry" she had with Lizzy Yarnold from Great Britain, but when Pikus-Pace took the silver medal behind Yarnold, she had nothing but joy, and said that it was clear that the other competitor deserved the gold medal, calling her own silver "good as gold." During the course of the Olympics I have seen several competitors who were less than enthused when they took second place, and I was so happy to see Pikus-Pace set such a glowing example of sportsmanship and demonstrate what being an Olympian is all about. She reminded us that personal goals are more important than the goals the world sets for us, and that putting your family first and achieving your personal best is more important than being the best. 4. 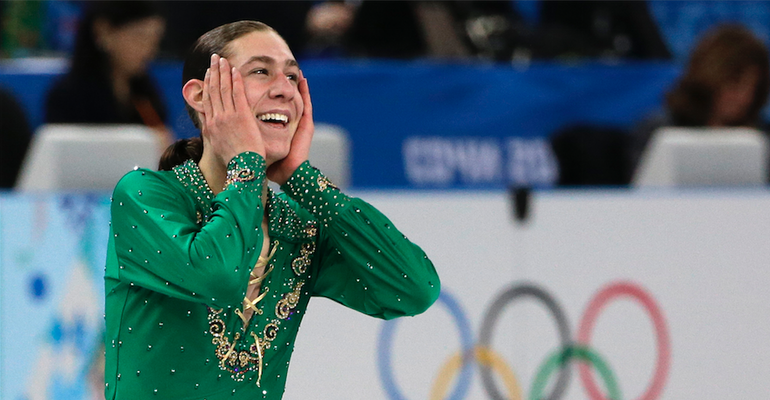 Jason Brown, American Figure Skater- This guy was one of my favorites to watch. Like Pikus-Pace, he also had a huge grin on his face every time the camera was on him, and he just exuded joy at being there at the Olympics. He is only 19 years old, and this is his first Olympic games. He skated clean, but his tricks weren't as big as the other guys', so he didn't medal. But that didn't stop his grin. He said he was just glad he was able to come and happy he could help his team, and that he couldn't wait to come back again in four years. Jason just reminded me that it's okay to acknowledge you still have more to learn and to just enjoy the journey and appreciate every contribution you are able to make, no matter how small. These were just a few of my favorites that I managed to catch when I've watched. How did the Olympics inspire you this year? I would love to read about your favorites! I'm tearing up reading about these. I love the Olympics and how they can bring out the best in the human spirit! I love the American ice dancers, White and somebody. :-) They skate tonight for the gold, are favored to win, but you never know. I have been surprised at how many skaters have fallen this year. I love Pikus-Pace too. Such a great witness for commitment to family! The Olympics always make me feel so lazy and out of shape! Such inspirational young people! LOL! Completely understandable, Jo-Anne! But y'all sure do shine in the summer Olympics! Yes, I know what you mean about feeling lazy and out of shape! I was so impressed when watching the opening ceremonies how amazing it was to have so many of the world's most dedicated and determined people all in one place. Amazing! Paula Hiatt is an LDS author and she is GIVING AWAY free physical copies of her book called SECRETS OF THE APPLE, clean, romantic and well written. Message me on FB if you want some free copies for your LDS book club!